The Niger Shipping Council has sent a memorandum of understanding signed with the Nigerian Shippers' Council overboard to send transit cargo through Nigeria. Instead, the country has decided to ship its cargo through the ports of Cotonou and Ghana. The executive secretary, NSC, Hassan Bello, confirmed this. He spoke in Lagos on Friday at a seminar organized by the Freight Forwarders Group of the Lagos Chamber of Commerce and Industry. He said operators from the Republic of Niger would have an easier way of transporting their cargo through the ports of Ghana and Cotonou than Nigeria. Bello, who spoke through the Deputy Director of Enforcement and Compliance, NSC, Mr. Akujobi Chukwuemeka, cited wasting time, insecurity and poor customer service as one of the reasons why the operators refused to comply with the agreement with the Nigerian agency. He said: "If you need two days to clear your mission in Cotonou, while you need two weeks to do that in Nigeria, you will vote for Cotonou. "So they gave up this agreement that we had with them, and if you go to the loading yard, you will still see them there, but they will not do anything." Bello criticized the poor customer service in the seaports and noted that this was a major cause of inefficiency and the reason why most importers preferred to unload their cargo through ports in neighboring countries. He attributed this to a lack of automation of processes, waste of time in positioning containers and processing of documents, a lackluster and poor attitude of operators and government agencies to work and to customers. He said: "Do the ports provide good service and are reliable? Is the service consistent? What about the security of the shipment, the security of the shipment, and the documentation-related issues? How long will it take to complete documentation processes regarding cargo handling? are? "So when we talk about customer service, these are small ingredients that make a customer evaluate the port as efficient, and if all those things are not there, you can not talk about customer service." He said effective customer relationships meant that agencies interacted with customers in a friendly manner, making it easy for people to obtain information as they sought in-depth from customs, terminal operators and other government agencies. 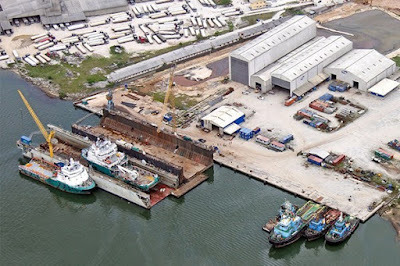 In other ports, it would take several hours to unload oversized cargo, whereas in Nigeria it would take days because operators lacked equipment and customers would spend days waiting for equipment to operate that cargo, the Executive Director said the NSC pointed out. According to him, the port charges in Nigeria are also high compared to other ports. 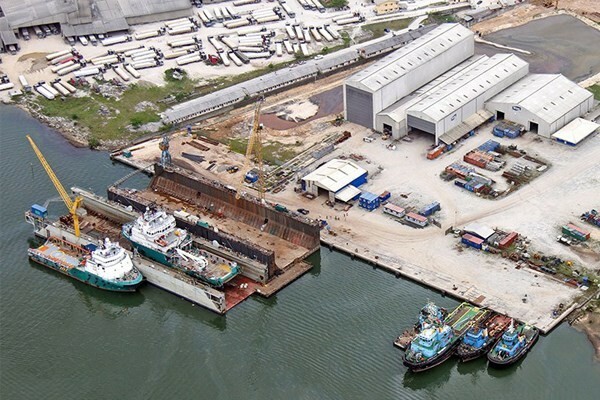 As far as infrastructure is concerned, most ports have no hinterland links, he said, adding that only in Nigeria had seaports been built without a rail link, which led to a deadlock.